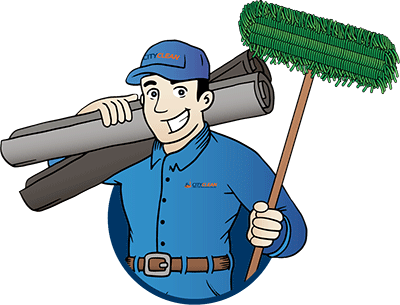 At City Clean, we understand that businesses are busy ensuring that their company is running smoothly, their customers are happy with their products/services, and their employees feel valued and enthusiastic about their work. Running a business requires a lot of hard work and effort, and you need to partner with suppliers that have your best interests in mind. When you partner with City Clean for your commercial matting needs, we’ll work hard to help your business run more effectively. Our mat solutions and services will ensure that you have one less thing to worry about, so you can focus on your daily operations. City Clean offers a wide selection of commercial mats and custom mats for all types of industries and spaces. Our mats will work for your business by keeping your floors clean of dust, debris, and excess moisture; reducing slip and fall risks; and helping your employees stay productive by reducing fatigue. 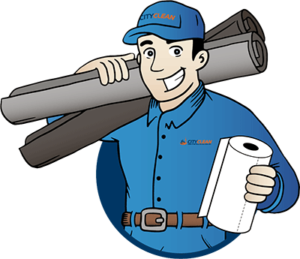 What’s more, we’ll regularly clean, replace, and repair your mats, so your business always looks clean and welcoming to clients and customers. City Clean has over 100 different standard commercial mat options to meet your business’s needs. We also offer custom mats, such as logo mats and message mats, to help strengthen your branding efforts and communicate with customers. Whether your business needs standard or custom mats, our high-quality mats will promote a positive and clean image of your business from the moment customers step through your front door. We know you need your mats as soon as possible, which is why we offer quick turnaround in new orders. We can get your standard mat order out the door and ready to work for your business within 24 hours. We also offer regularly scheduled services to replace and repair mats, and pride ourselves on our reliable, trustworthy service. What’s more, our knowledgeable staff are here to help you, and will expertly answer your mat-related questions and concerns. Poor quality mats will won’t work as efficiently, which means your floor won’t stay as clean as it needs to be. They’ll also rip, tear, and fall apart easily, which will create a negative impression with customers and provide a low ROI. City Clean mats are guaranteed to be high-quality. We understand the value commercial mats bring our clients, which is why we only stock the best commercial mats available. 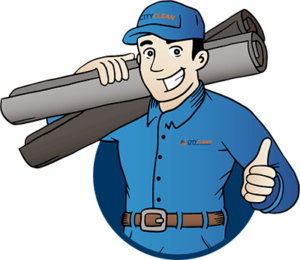 When it’s time to lay down your new mats or replace your old ones, our mat experts will be discreet and in-and-out of your business in no time. We’ll stick to a schedule that works for you and provide quick and efficient service, so you don’t experience unnecessary interruptions to your daily operations. What’s more, when cleaning mats we use an automated wash procedure to speed up the process, stay organized, and reduce time and costs. At City Clean, we pride ourselves in our values. We’re a Canadian company and we’re proud to support the success of other Canadian companies. We also believe in doing our part to protect the environment through green initiatives. Rather than throwing damaged mats in a landfill, we take the time to repair them to extend their lifespan. And when it’s time for old mats to be retired, we make sure that they’re recycled. Start protecting your business and maintaining its cleanliness with high-quality commercial mats from City Clean. Explore our standard and custom matting solutions, and contact us for a complimentary consultation. We can’t wait to support your business’s success.